Please click here to see all 2015 New Releases. Women Make Movies gratefully acknowledges the support of our funders: The National Endowment for the Arts, the New York State Council on the Arts with the support of Governor Andrew Cuomo and the New York State Legislature and the New York City Department of Cultural Affairs in partnership with the City Council. FEBRUARY IS BLACK HISTORY MONTH! this should be the one." Ava DuVernay's SELMA puts African-American perspectives of the civil rights movement at the forefront. 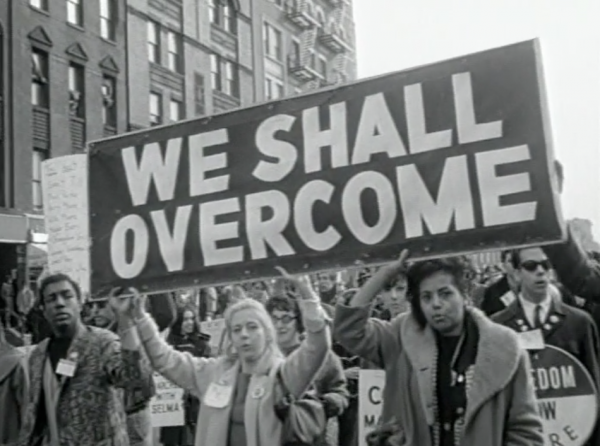 This Black History Month, WMM celebrates the heroic women of the civil rights movement with the award-winning documentary STANDING ON MY SISTERS' SHOULDERS: the story of the Mississippi Civil Rights movement from the point of view of its remarkable and courageous women who changed the course of history. This film is important now more than ever given the racial climate of the country after Ferguson, subsequent events in NYC, and similar incidents happening across the nation, bringing a contemporary urgency to these issues. *Use offer code BHME15 to apply your discount. Cannot be combined with any other offer, other exceptions may apply. Offer expires March 15, 2015. WMM Releases REGARDING SUSAN SONTAG on March 8! WBW: Check out our new website design!